Their milkshakes bring all the boys to the yard… | Go Here! Eat This! Well not just boys…go by a Shake Shack ANYWHERE in NYC and there’s a line out the door. The good news is usually the line is for food and NOT just dessert. So if you pass by and you see a long line, double check the dessert line because chances are the line for just a sweet treat is the ticket. I will admit that I’ve never had the burgers and fries at the Shake Shack. I’ve actually never ever had anything other than the Fair Shake which is what I’m posting about today. And if you know me or follow me on Facebook, you know how careful I am about my sugar intake and how I’m not one to stray too far off my regular high protein diet. BUT…if you are going to cheat…my motto is go big or go home. If you don’t enjoy the cheat…what’s the point? So, if you like coffee (which I do) and if you like ice cream (only my favorite food on the planet), then the Fair Shake (100% Arabica coffee and their vanilla custard) is definitely for you. The good news is that it isn’t a crazy huge serving. It’s small – well in today’s super size world, and it’s sweet so, it’s really the perfect size. You can’t go wrong with this yummo treat. I had mine on the UES last weekend. But luckily they are all over NYC and actually they have them in FL and CT and MA, and D.C. and I think even London. 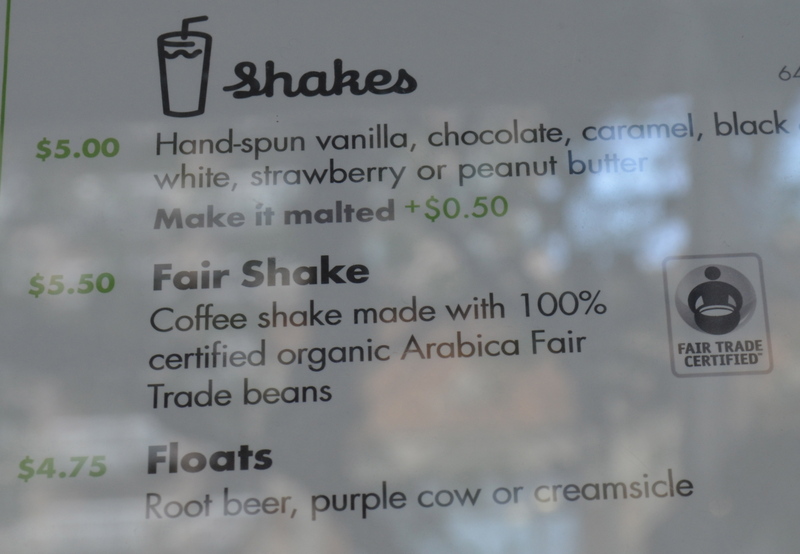 So check out their website and if you are ever near a Shake Shack and are dying for a treat…try the Fair Shake! Go Here! Eat This!